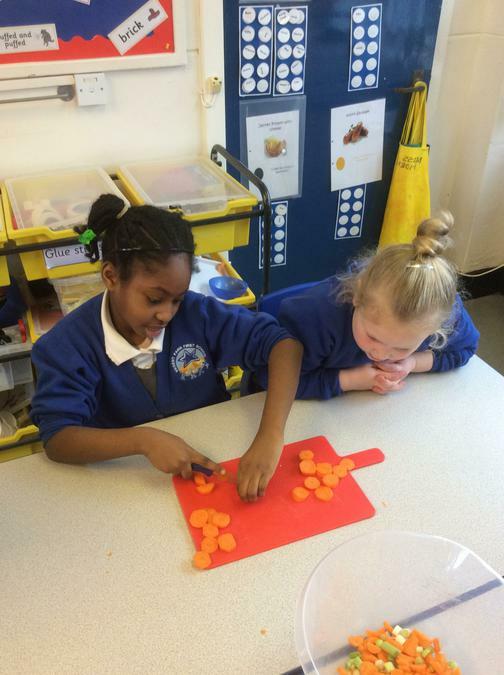 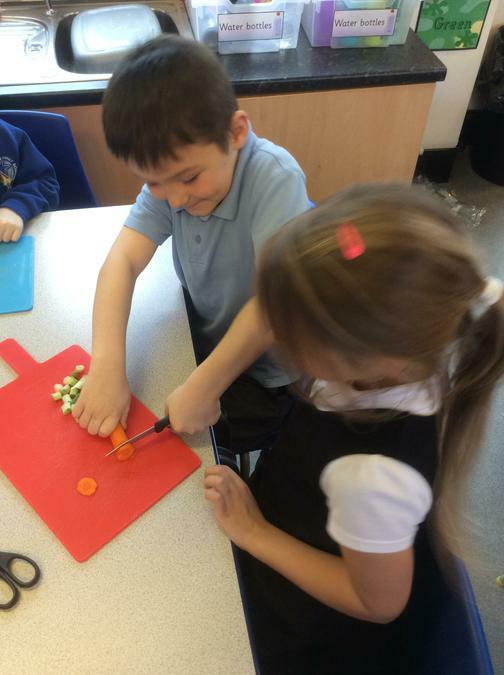 Please have a good look at our photos of Year 2 children peeling and chopping vegetables, for the vegetable chow mein we made this week, as part of our work on Chinese New Year. 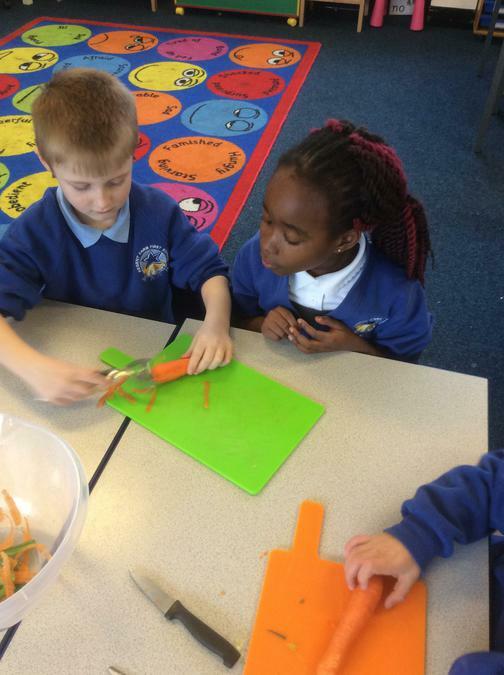 The children were fantastic at using the equipment safely to prepare the vegetables. 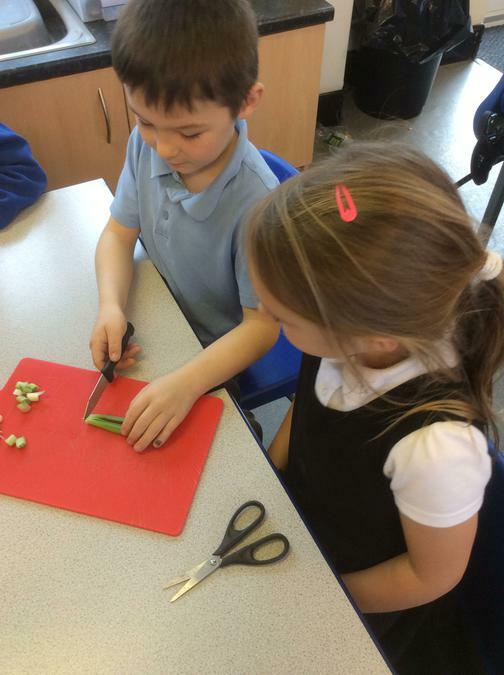 We have some chefs in the making! 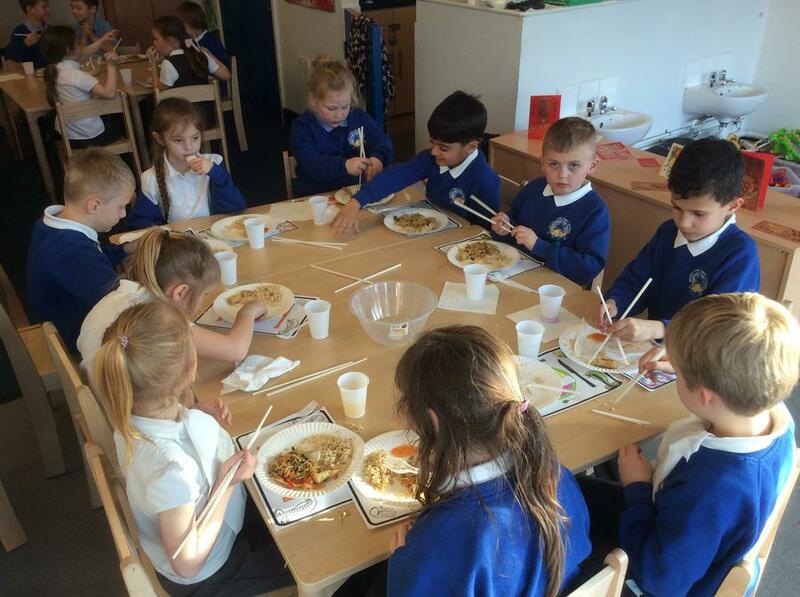 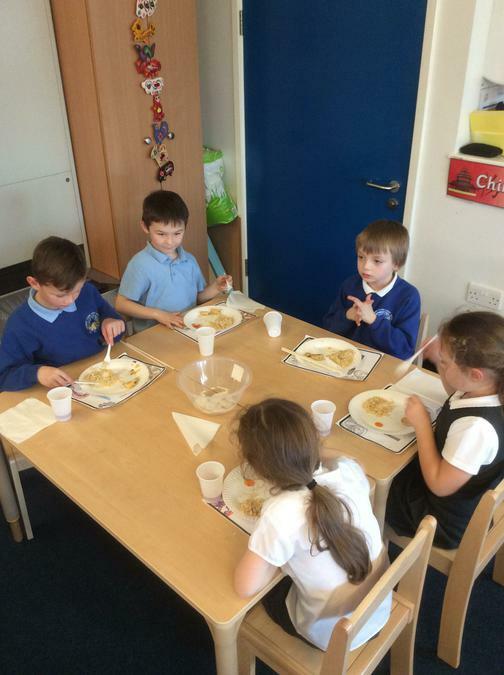 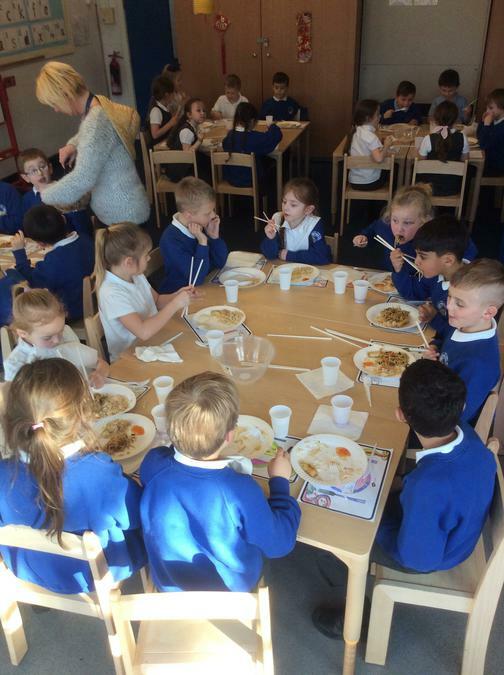 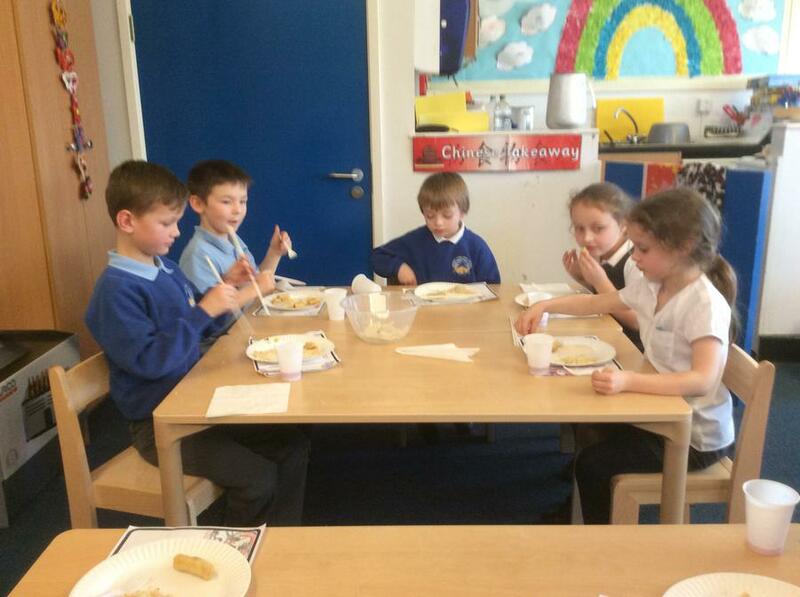 They were very keen to eat their healthy Chinese meal and they throughly enjoyed it.